Efficient and smarter, the Apple Mac Pro MC560B/A is designed to increase your productivity. You can also configure this Intel Xeon-powered desktop Experience faster computing with this Apple Mac Pro desktop, which is available in two variants, one with one 2.8 GHz Quad-Core Intel Xeon W3530 and the other with two 2.4 GHz Quad-Core Intel Xeon E5620 processor. Moreover, this Intel Xeon-powered desktop uses ATI Radeon HD 5770 with 1 GB of GDDR5 memory to ensure smooth rendering of graphics. The built-in 1 TB Serial ATA HDD of this Apple Mac Pro desktop offers ample storage space for your data. 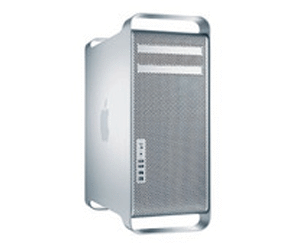 Designed with OS X v10.6 “Snow Leopard”, the Apple Mac Pro MC560B/A can run applications such as iTunes, Mail, iChat, Safari, and others that make your life easier. 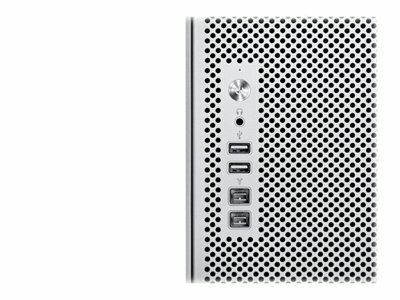 Featuring Bluetooth 2.1 + EDR for wireless exchange of information and AirPort Extreme 802.11n Wi-Fi for wire-free networking, this Intel Xeon-powered desktop makes communication easy. 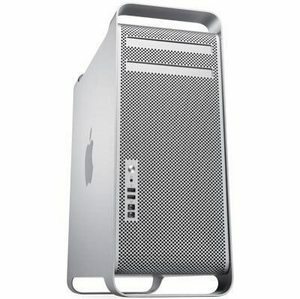 Truly performance oriented, this Apple Mac Pro desktop helps you stay ahead.